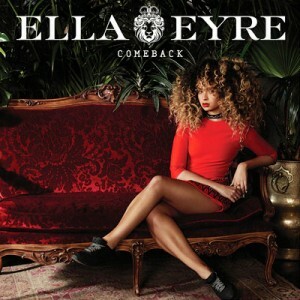 Incluye lo nuevo de Ella Eyre, Mayer Hawthorne, Juansol y Kultama; descubrimos a Cherry B And The sound Makers, Marti Ann, Jack Freeman, 2PM y SirAiva; recuperamos a ANAUT, Macklemore junto a Ed Sheeran, Hieroglyphics, Brownstone, Brandy, T-Pain y Kilimanjahro; y bailamos algunos hits de Alle Farben, Pharrell, Britney Spears, Dr. Dre, Usher, Duke Dumont, J Balvin y Zion & Lennox. Nuestras secciones «Smooth Velvet», «Groove 2 Bounce», «Etiqueta Negra», «Rising Sun», las bootleg y un brandy en Tallahassee (!) completan el programa de esta semana. Feat: Alle Farben, Graham Candy, Pharrell, Justin Timberlake, Britney Spears, Sabi, Ella Eyre, Cherry B And The Sound Makers, ANAUT, Macklemore, Ed Sheeran, Marti Ann, Mayer Hawthorne, Jack Freeman, Juansol, Kultama, Hieroglyphics, Goapele, Dr. Dre, Snoop Dogg, Daz, Brownstone, Craig Mack, Brandy, Queen Latifah, MC Lyte, Yo-Yo, T-Pain, Usher, Nicki Minaj, 2PM, Duke Dumont, Jax Jones, SirAiva, Pacman, Kilimanjahro, J Balvin, Zion & Lennox y Charlie Cruz. 19. 2PM - Go Crazy!